Cheesy Broccoli Rice Stuffed Peppers Recipe – A warm comforting vegetarian main dish or side dish. And a great way to get kids to eat their veggies! 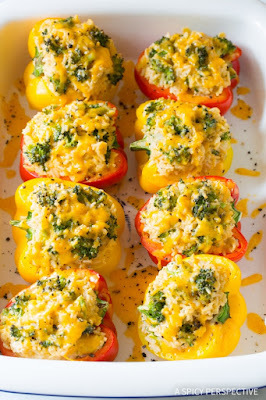 0 Response to "Cheesy Broccoli Rice Stuffed Peppers"